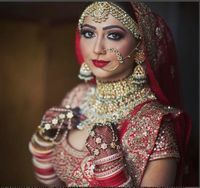 I wanted something special, unique and royal to go with wedding trousseau. Also I wanted to invest thoughtfully into it, So I decided to get it done in pure silver instead of alloy. My main challenge was being located in California and getting things done online. But Rahul and Sameep made it work seamlessly. Each piece of jewellery: necklace, jhumki's , passa, ring and tikka were so beautifully done that I can't take my eyes off while unboxing. 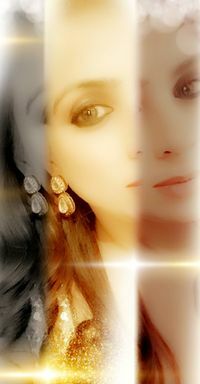 I am in so love with my jewellery that I will cherish it for my life. 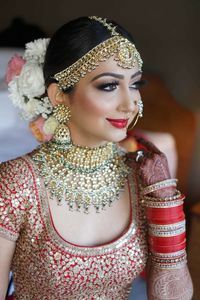 It not only completed my bridal look instead added an oomph to my old era classic look. I absolutely love each and every piece of their jewellery.. Thank u so much to the entire team of Raabta by Rahul for such a great craftsmanship. Hope to see you guys soon. Well, I came across Ra Abta on Wedmegood and Minerali . I was stunned to see the quality of Jewellery and Design. Still, I got a bit unsure about spending this much amount but since my sister said let's take the risk, hence we placed our order. the necklace was definitely amazing in pictures but i was crossing my fingers until i received it. The quality, the finish and it's craftsmanship, everything turned out to be perfect. Co-ordination from their end was good too and delivery was on time. My sister is super happy to choose their Jewellery for her wedding reception. Thanks to Sameep for Always answering my queries. Words would never do justice and I can't ever thank you enough for being such an integral part of all my most important days. There wasn't a single soul who didn't appreciate the jewellary and most of all, it was me who was totally awed by the grace of it. Nothing has ever made me look more beautiful than your pieces specifically did ???????? To top up, humbleness and positivity of both - Sameep and Rahul in dealing with clients is so welcoming!! Thankyou! Thankyou! Thankyou!???? I had heard only great things about this brand - how their jewellery is awesome and how good they are at customisations. So I decided to give them a try but my experience wasn't that good. I wanted clip on earrings for non-pierced ears. Not every brand has them but in the past Just Jewellery and Art Karat had personalised some for me. I sent them Kundan studs posted on their IG handle and asked if they could be converted into clip ons. They agreed so I asked for an image of the clips they'll use. They expressed concern that the studs might be too HEAVY so I asked them to suggest another design. They responded saying the design I'd sent would work and sent reference images of clips. I wanted to finalise the order so asked them price and timeline for completion which was Rs.9500 and 15 days. To put things in perspective the normal earrings retailed for Rs.2450 on Perniaspopupshop. Clips for 7k ? 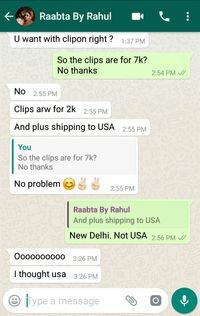 They defended themselves by saying clips were for 2k and remaining 5k was shipping charge to USA. This was strange considering I'd specifically told them I wanted delivery in New Delhi. Some might say it may have been an oversight but from the conversation it felt like this customisation was something they didn't want to take up. Which wouldn't even be an issue if they just admitted it outright. And I know this because as a girl who has always struggled to find clip-on earrings in India, I have spoken to many brands about this. 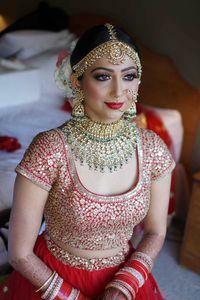 Beautiful bridal jewllery . They have all latest designs which were really mesmerising. 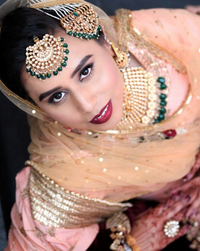 The most important day of my life was made more beautiful by RaAbta By Rahul jewellery. I wore their jewellery on both my wedding and Sagan. Beautiful collection and an impeccable customer service! 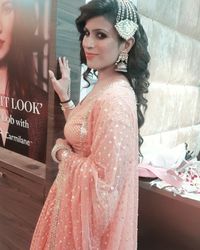 With a bride as fussy as me and with zero sense of jewellery they helped me to get my look together for both the functions, keeping in mind the kind of person i am. Their jewellery collection is vast and their ideas limitless! This is one stop shop for all your jewellery need. 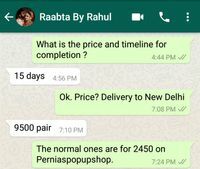 so i purchased Ra Abta by rahul for my wedding day.. and it was the best decision ever. Rahul and Sameep had a very good collection to select from, their finishing was impeccable.they customized things that were not available with them. 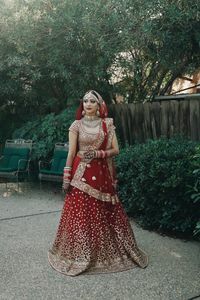 i was very happy with being a RaAbta bride. 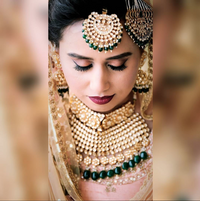 Ra Abta by Rahul is one stop shop for your royal bridal jewellery. 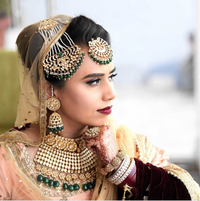 I bought my entire wedding day jewellery from them and have received endless compliments for how royal it looks . Trust me you’ll stand out with their jewellery. Thank you so much guys ! Rahul and Sameep best duo! Ra Abta has great designs for offbeat jewellery. I bought my haathphools from there. would really recommend.